Update to a new door design and upgrade the door hardware and moulding. For redoor only (without resurfacing the cabinets), have your items finished to match the existing color. Keystone offers a wide selection of door designs, custom sizes, and boring for hinges. We also stock BLUM soft-close hinges. 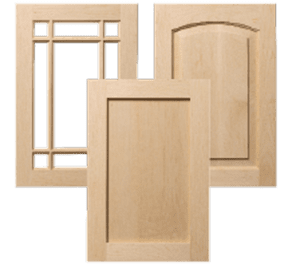 We have moulding for any refacing need, including light rail and outside corners. 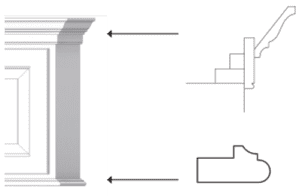 See the Moulding section of this website for stacked moulding, period suggestions, and full-scale profiles. Resurface the existing cabinets with the color of your choice. Plywood can be used as cabinet ends, soffit, and fascia. Veneer can be used for the cabinet faces and ends. 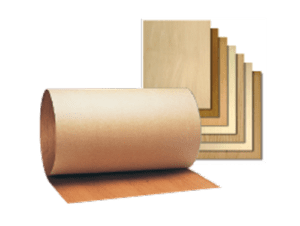 Wood veneer and plywood in any wood species or phenolic veneer as a paintable option. Choose from a large selection of paints, stains, and glazes, shown in the Finishes section of this website on recommended wood species. 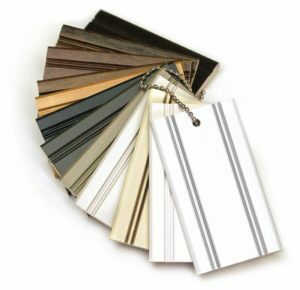 We also match any custom paint color or stain—just send us a stain sample or paint chip. Create a new look by adding accent features such as turnings, columns, or bun feet. While not always necessary, the homeowner may also wish to update countertops, backsplashes, and lighting. 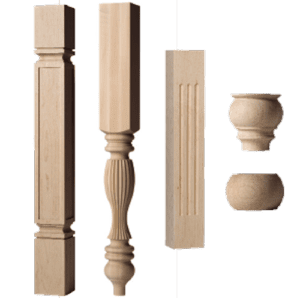 See the Moulding section of this website for a full selection of columns, turnings, and bun feet. Keystone has doors and drawer fronts to suit any kitchen style. Change the feel and function of a kitchen’s interior.